The Volvo double decker is clearly in the former Plymouth Citybus livery minus fleetnames and on closer inspection is identified as W509WGH currently number 420 in the fleet. 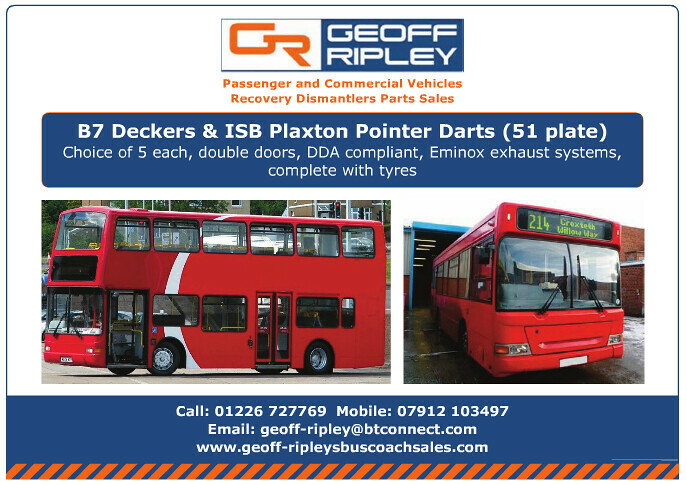 It does seem odd if this really is for sale, especially if all five DDs for sale are Citybus examples (the advert doesnt make it clear that they are). For clarity PCB have no buses for sale. I rang Geoff Ripley to ask why our buses were apparently for sale. He tells me that he was provided with a stock picture for the advert which he was told showed an all red bus. I explained that part of our livery is still on the bus and that on the website you can ID the bus reg. So a minor mishap which is no big deal and has done no harm, in fact we all had a good laugh about it this morning. Well spotted though by Richard Smith. Removing low floor double deckers from their fleet is the last thing they want to be doing at the moment. The 'new' 21/A being merged with the 26 from May 5th is to (finally) be double decker operated. The 21/A/26 at present requires fifteen buses which is all of the Merc Citaros. They have 7 out on the 27/28 and 29/34s, 1 on the 152 (all the other 152s & 42D/46s I've observed later in the day appear on a school service, which explains why these routes have deckers on! 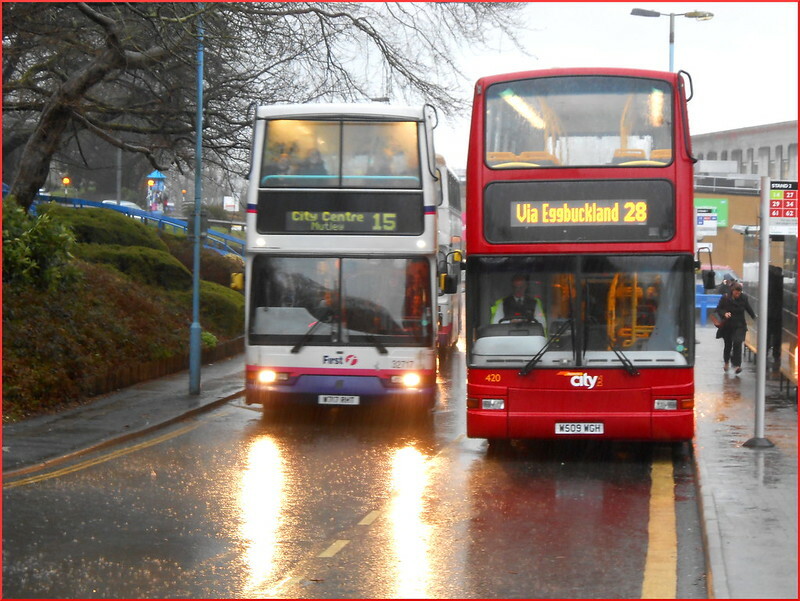 ), two deckers are used on things like duplicate 28s/34s in the morning and evening peak, and another decker is used to run a duplicate 26 then 21A in the evening peak. I don't have a clue as to in total during the week how many deckers they have out on the road, but I'd imagine it's at least around 20, so until the E400s arrive and the 'new' secondhand PVLs are all done, I wouldn't be surprised to continue to see Citaros on the 21. It indeed does seem strange if 420 and 4 others are being sold, I'd have imagined it would've been the B10Ms that are up for sale! Would be very interested if anyone can confirm what's going on. Where do "stock" photos come from? They should come from an official stock photo agency, one who pays the photographer for rights to use that image. More often than not someone just uses Google and pinches the photo though! It certainly looks the case Laurence. I knew I had seen that picture before somewhere! Now that's where it came from! It certainly did look familiar.